This may scare you off the Internet. This is an interesting Article from Business Insider about some of the most notorious hackers ever caught. Another interesting read is the FBI Cyber Crime Top 10 Most Wanted, CLICK HERE to to see this list and learn about some of the interesting things (including murder) that some have done and the incredible amounts of money to be made. This Article from CNBC talks about a plan to steal up to $1 billion from global financial firms. Scary stuff. What is interesting is that its not that hard to become a hacker, basically anyone can do it with a little money and a list of emails. There are websites that will sell viruses to just about anyone for surprising low prices. 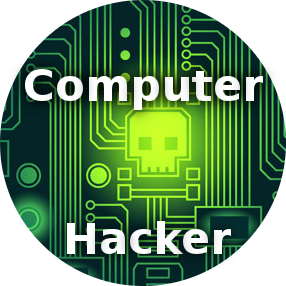 Its been estimated that a hacker can make 20 times what they spent to purchase the virus and can make thousands of dollars a day with little chance of being caught if they take some precautions. The easiest way to protect yourself is to use a paid Internet security package. We recommend Kapsersky or BitDefender. Its important to remember to properly set up any security package and not take the default settings from the provider. Many times, critical services and features are either turned off or not set to a very secure standard. As always, if you want to prevent a computer virus or if you have a a computer virus and live in Overland Park, Olathe, Lenexa, Shawnee, Leawood, Prairie Village or any other suburb of Kansas City, Prairie Star Technology are experts at virus protection and removal.